พี่เขาถามว่า ..."จะเริ่มนับ wave 1 ได้ยังไง"
พุดง่ายๆ ในช่วง เวฟหนึ่ง นี่เอง แมงเม่า(อุ้บ หยาบคาย!! )โดยส่วนใหญ่ จะ �ไม่ได้กำไร� เพราะมันเร็ว ตัดสินใจไม่ทัน ตะลึงกันอยู่ พอคราวบินเข้าไปก็ยอดดอยแล้ว ToT ว้า แย่จัง ตะแหง่วว!! 1) The RSI crosses above 50 in minor wave 1, but stays below 70. 2) Minor wave 2 may cause RSI to momentarily dip back below 50. 3) Minor wave 3 takes RSI higher, often to around 80. In the real world %K will often reach 80 but rarely 90. 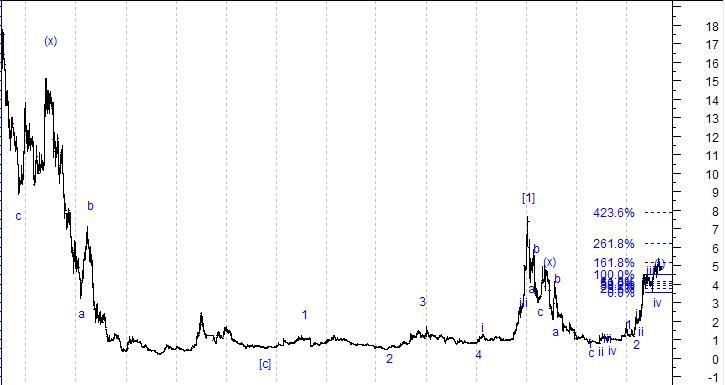 Study tip: It is important to realize that it is minor wave 3 that takes RSI to its highest high! 4) Minor wave 4 causes RSI to cross below 70 from its lofty high, but remain above 50. This crossing is the FALSE signal that traders fall for all too often. Going short because of a turn at 3 is premature, and your stop just above the top at 3 is taken out by the final thrust to the top at minor wave 5. 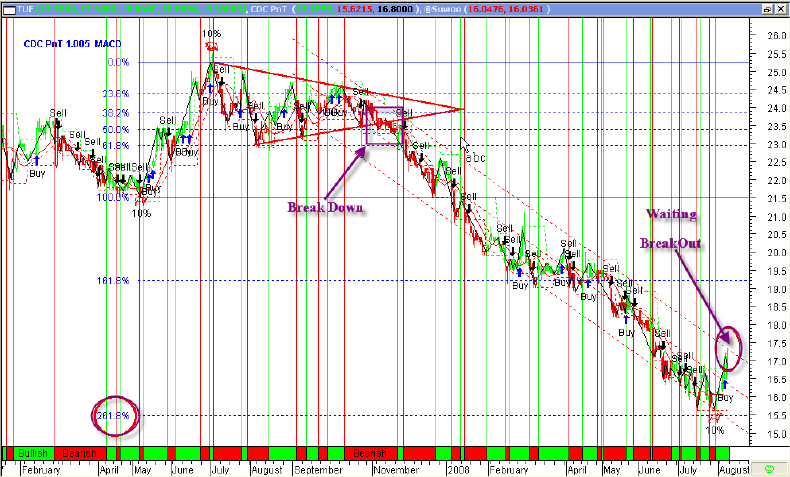 The psychological tendency is to ignore the signal at 5 because of the loosing short attempted at wave 3. 5) Minor wave 5 causes RSI to rise again, often crossing back above 70, but the market lacks the duration in trend to elevate RSI to a higher high. When RSI turns down and crosses 70 the second time, this is the signal. Study tip: Look for divergence, where the price action put in new highs, but the study does not. Divergence between RSI and price is a very strong indicator of a turning point. 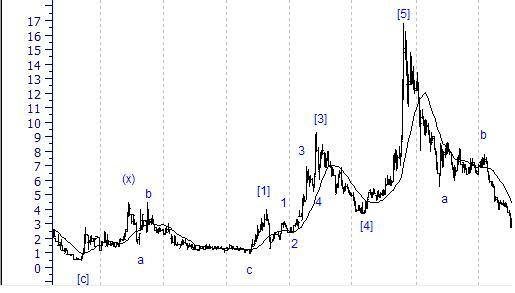 a) Minor wave a returns to the previous support level of minor wave 4. But the drop of RSI is huge, falling from a lofty high below 40. This rapid fall is similar to the rapid rise that occurred in minor wave 1.
b) Minor wave b is a Fibonacci retracement from a back towards 5. 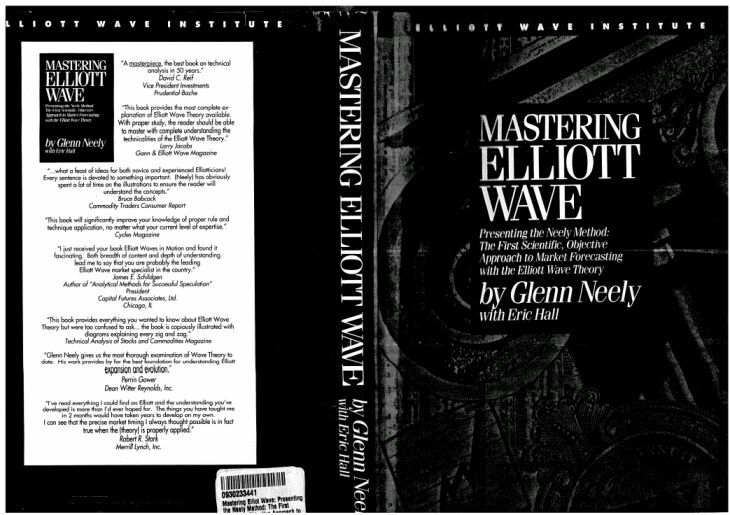 The example has its price stopping at the top of wave 3. 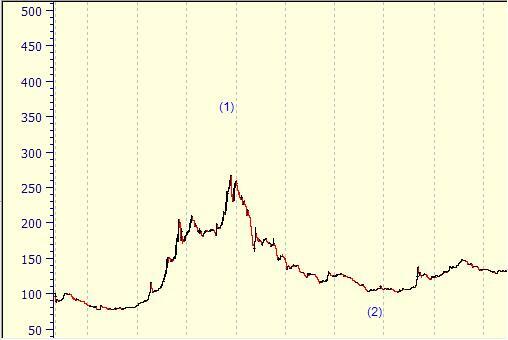 The effect on RSI is to rally back above 50, possibly around 60.
c) Minor wave c takes RSI to new lows around 30. The example shows a drop slightly below 30. Study tip: Divergence will not occur this time. Therefore, the signal to go long is the first time RSI crosses above 30.